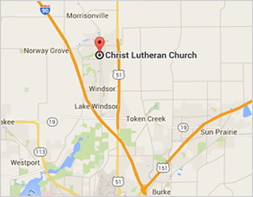 There will be a special meeting of the Christ Lutheran Church Congregation to determine if a Letter of Call should be issued to a candidate to become our new Associate Pastor. The meeting will be held in two sessions to be conducted immediately following each service. The location will be the Sanctuary of Christ Lutheran Church, 220 S. Main Street, DeForest, WI on Sunday, September 25, 2016. Information will be provided on the candidate and a ballot vote will be taken. You can choose which time to attend, but you only need to vote once. We ask that you make every attempt to attend this very important meeting.